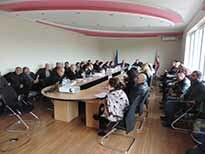 On April 25, 2016, Georgian Society of Nature Explorers “Orchis” arranged a meeting in Kareli Municipality with the participation of Deputy Administrators and Deputy Head of the Assembly (Sakrebulo) of the mentioned Municipality, representatives of Administration (Gamgeoba) and Assembly, Ruisi, Dirbi, Kekhijvari, Urbnisi, Akhalsopeli, Bredzi and other administrative units, as well as the representatives of non-for profit juridical persons, media and others. On April 22, on the occasion of Earth Day was held a clean up action in Lagodekhi with participation of Youth Council volunteers and Peace Corps representative in Lagodekhi Gamgeoba. During the action was cleaned up the Municipal entrance, about 2 ha area, 20 sacs of household wastes have been collected and taken to the landfill. Around 50 volunteers took part in the action . Within the framework of Earth Day clean up action has been organized in town Borjomi, in which along with organizers Borjomi # 1.public school students took part. 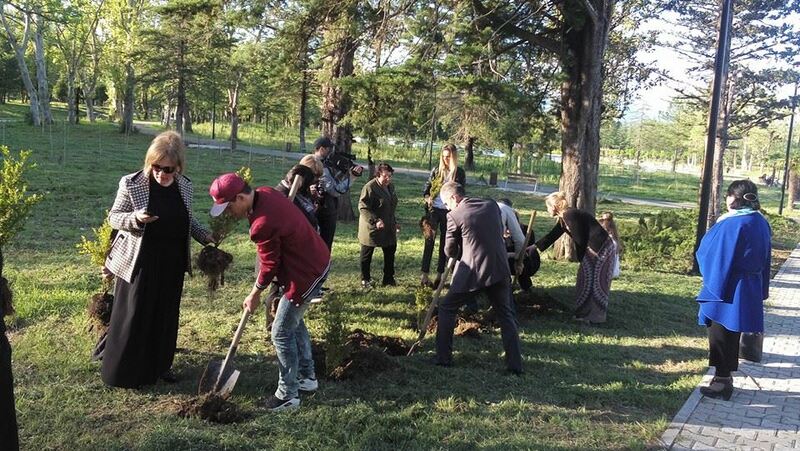 Earth Day in the municipality was marked by various activities, organized bySenaki local coordinlator of Greens Movement / Friends of the Earth Georgia. On April 22, eco-club members of the village Menji Public School organized Earth Day exhibition entitled - "Earth without waste". 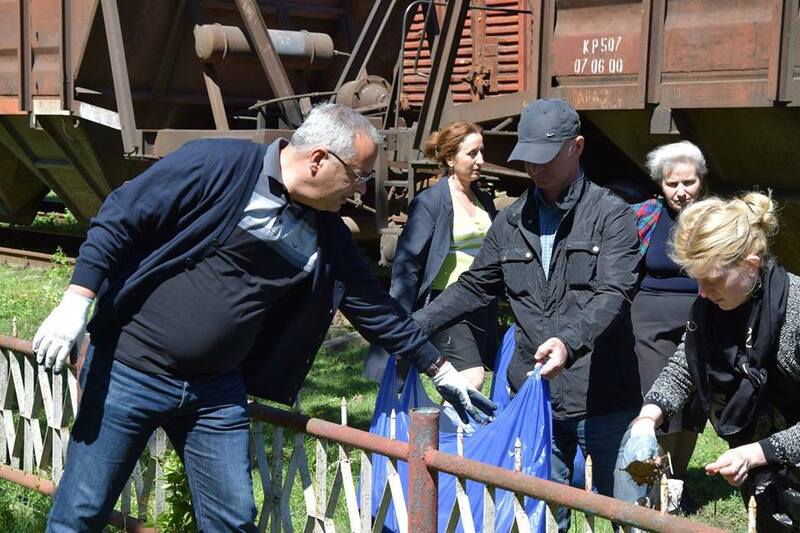 Once exhibition was over, students, community and local representatives of the territorial authority , cleaned up the village center, while the employees of Cleaning Service has cleaned up Menji - Chkhorotsku highway. 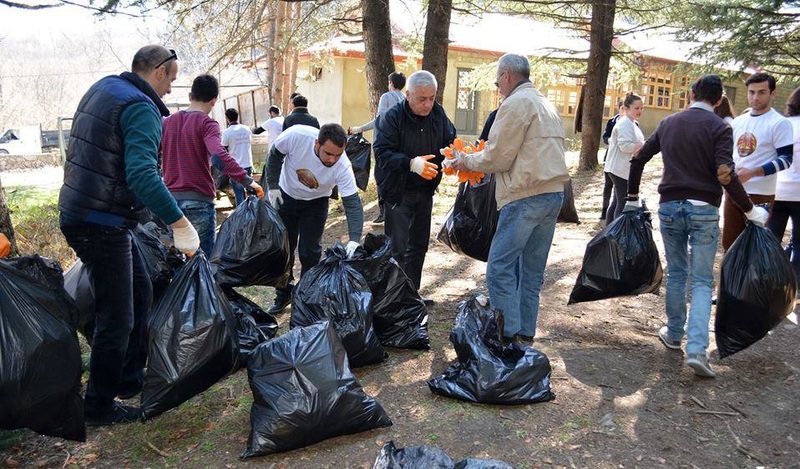 On April 22, within the framework of the "Clean-up Georgia" campaign and on the occasion of Earth Day, Clean up campaigns were held in Bolnisi municipality. The event has been organized by the regional coordinator of Greens Movement of Georgia / Friends of the Earth – Georgia, with participation of authorities and employees of local municipality. 30 people took part in the action. 1 ha area has been cleaned up and about 1 m 3 of household waste were collected and taken to the landfill. 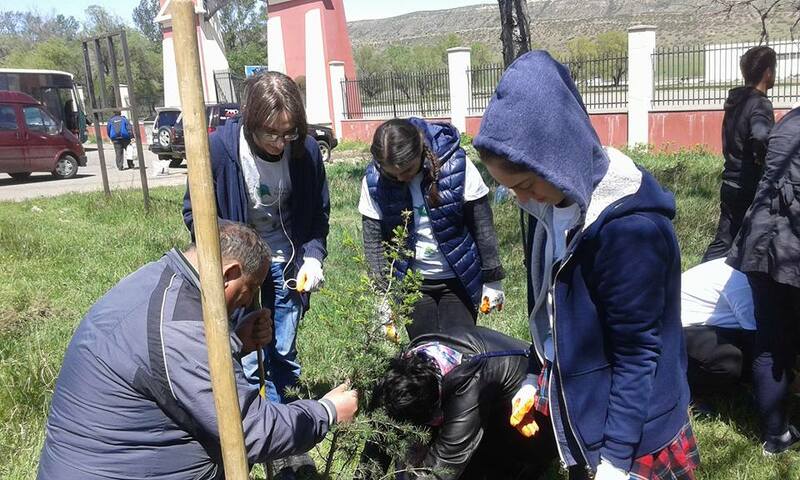 On April 22, within the framework of the "Clean-up Georgia" campaign Clean up and greening campaign took place in the vicinity of the Lisi Lake area (by the new hippodrome). The event was organized by the Greens Movement of Georgia / Friends of the Earth – Georgia with support of the Ministry of Environment and Natural Resources Protection and City Hall. During the action 1 hectare area has been cleaned up and about 2 m3 of waste were collected and taken to the landfill. On April 22, within the framework of the "Clean-up Georgia" campaign and on the occasion of Earth Day, Clean up campaigns were held in Tskaltubo municipality, during which the central entrance to the park has been cleaned up by the Council of Tskaltubo municipality, while the adjacent areas to Kutaisi landfill in village Geguti was cleaned up by Gamgeoba of Tskaltubo Municipality. 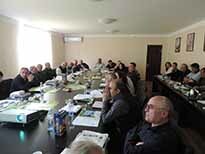 On April 20, 2016, Georgian Society of Nature Explorers “Orchis” arranged a meeting in Dmanisia Municipality with the participation of representatives of Administration (Gamgeoba), Assembly (Sakrebulo) of the mentioned municipality, of Ipnari, Karabulakhi, Dmanisi town and other administrative units. In the framework of the project “Cleanup Georgia” (phase III) Georgian Society of Nature Explorers “Orchis” purchased from “Sakartvelos Nergebi”, Ltd. (Georgian plants) 200 roots of coniferous and deciduous plants, including: cypress, nut tree, pomegranate and on April 19 greening action was carried out in Kaspi Municipality. Representatives of Gamgeoba (Administration), Sakrebulo (Assembly) and population participated in the action. 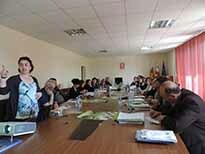 NGO “Ecological Awareness and Waste Management” held a meeting in Kaspi Municipality in Shida Kartli Region on April 11, 2016. 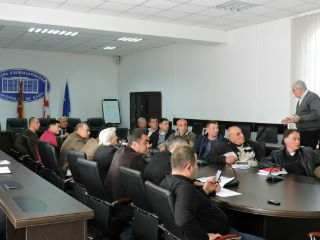 The meeting was held in the framework of the ‘Clean Up Georgia – Phase III” Project. 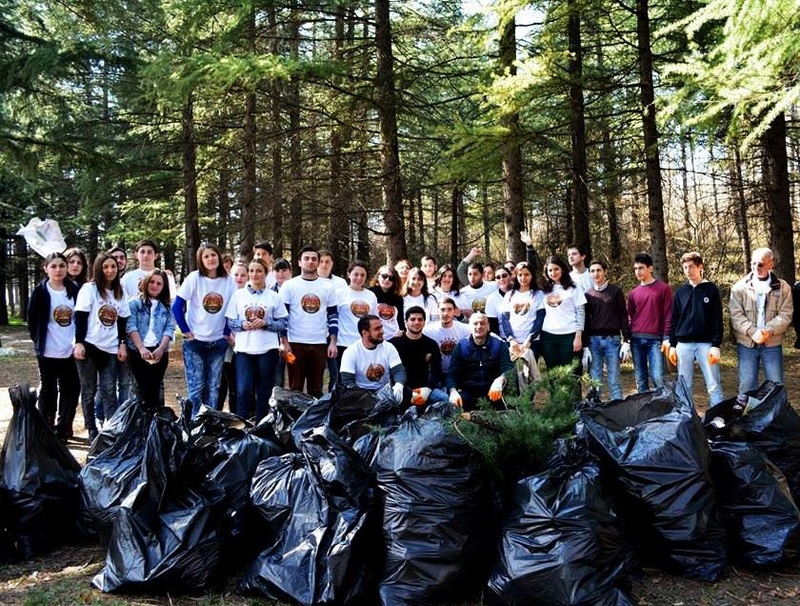 Regional Coordinator of the Greens Movement of Georgia / Friends of the Earth-Georgia supported and in cooperation with local authorities of town Telavi have organized large-scale clean-up actions in the region. In particular, have been cleaned up river beds and small gullies of villages, Lapankuri, Saniore, Artana, Jughaani, Pshaveli, Lechuri Laliskuri. In the framework of “Clean Up Georgia” campaign, regional Coordinator of Greens Movement of Georgia / Friends of the Earth-Georgia with support of local authorities of Akhmeta Municipality have organized a clean up action. During the campaign drains on all streets were cleaned up. On April 12, 2016, Georgian Society of Nature Explorers “Orchis” arranged a meeting in Tsalka Municipality with the participation of the deputies Governor of the mentioned municipality, representatives of Sameba, Kushi, Ozni, Bediani, Ashkala, Kaburi, Gantiadi, Trialeti, Gumbati, Artsivani, Bareti, Rekha, Kizil-Kilisa, Beshtasheni administrative units, Administration (Gamgeoba), councils, non-governmental organizations and others. In the framework of “Clean up Georgia” campaign regional representative of Greens Movement /Ftiends of the Earth –Georgia organized a clean up action in Kharagauli, during which . (2 km) section of Chkherimela riverside has been cleaned up. 30 people took part in the campaign and approximately 2 m 3 of waste were collectedand further disposed by relevant sercices at the landfill.